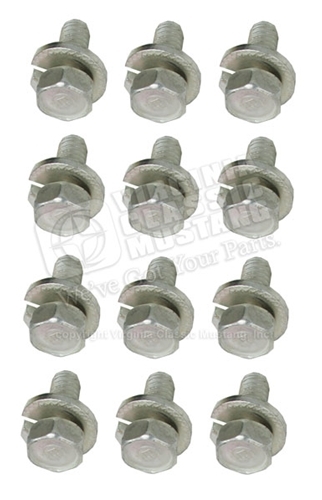 Exact style Mustang Small Block V8 Valve Cover Bolt Set. Cadmium plated with lock washer-exactly like original. Fits 260, 289, 302 351W Ford Engines with steel valve covers.